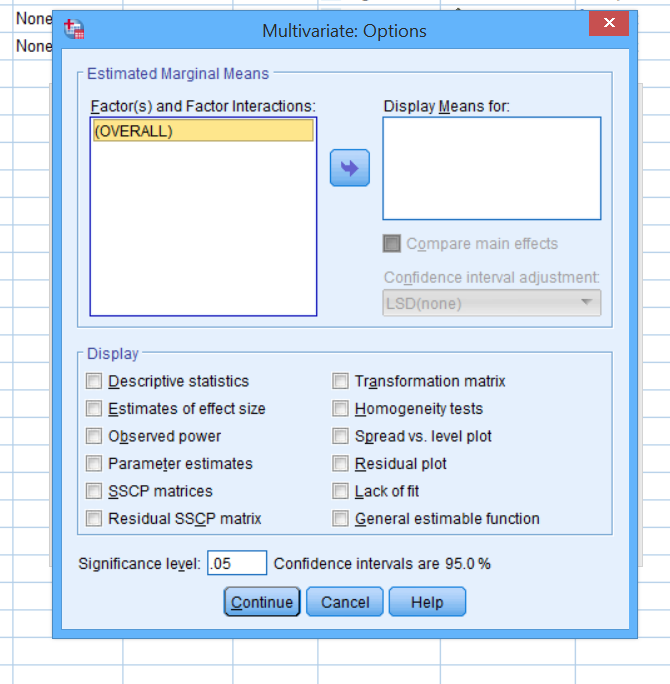 Unlike software like SPSS, R does not always provide all the output or tests for a particular technique in the one place. What in SPSS is the selection of a check box in the appropriate menus in R generally means loading another package or coding a function. Fortunately there are a lot of packages available and the R community is both large and generous, making it easier to replicate the output. 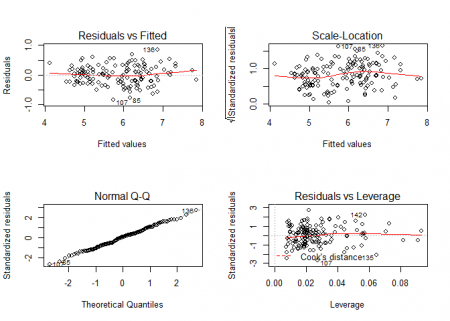 Regression is a very useful tool to have for most analysts, myself included, and well worth producing some kind of a workflow template based on the material covered while studying. The code below was written for multiple linear regression with a continuous dependent variable. 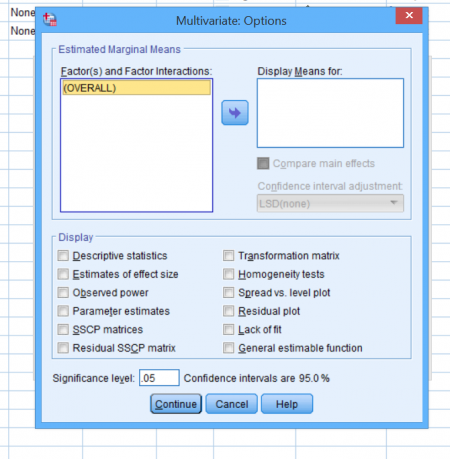 It is a collection of functions and packages that produce a regression model and graphs and statistics for assessing it’s validity. 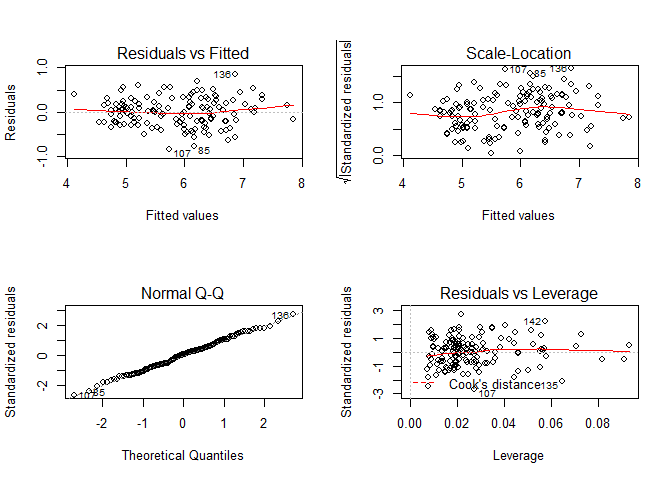 I have included a number of different outputs testing for outliers, influential points, normality and linearity in the data. The code for the R and the markdown versions as well as example output can be found on Github here: Multiple Linear Regression.